FREMONT, Calif., February 13, 2019	(Newswire.com) - AMAX, a leading global artificial intelligence (AI), deep learning and enterprise IT solutions provider headquartered in Silicon Valley, California, announces the launch of its AI/Deep Learning Compute Cluster solutions and Virtual Desktop Infrastructure (VDI) platforms for the Healthcare Industry. AMAX will be showcasing these highly anticipated platforms at HIMSS 2019 (Booth #1202), to be held at Orange County Convention Center in Orlando, Florida, Feb. 12-14, 2019. AMAX‘s AI/Deep-Learning Compute Cluster solutions for healthcare are optimized for research, development and large-scale deployments in data centers. Solutions address the increasing demand for fully integrated high-performance compute and GPU accelerated compute as well as high-performance storage specific to healthcare applications that are based on AI and deep learning. Built on cutting-edge technologies including the latest generation NVIDIA TESLA GPU compute accelerators, NVMe Flash storage and Mellanox Ethernet and Infiniband fabric options, AMAX cluster solutions feature GPU compute, CPU compute, high-performance, tiered and archival storage building blocks, as well as high-speed compute fabrics and cluster management. Solutions can be custom-configured to the client’s particular application and are scalable to facilitate expansion in response to future growth. AMAX’s Virtual Desktop Infrastructure solutions for Medical (VDI-M) with optional GPU acceleration are designed to provide the increased compute resources required for modern graphics-intensive applications as well as emerging applications including medical rendering, virtualization and AI-based diagnostics. Solutions are aimed to replace traditional PC and workstation-based deployments in hospitals, clinics and doctors’ offices. Advanced analysis of relevant data (such as PACS images used by radiologists, physicians and specialists) and delivering actionable insights are competitive functions that distinguish the best enterprises in healthcare IT from substandard rivals. AMAX provides purpose-built platforms for healthcare companies looking for advanced medical computing solutions. AMAX’s offerings include VMware, Citrix and Microsoft-based virtualization solutions to maximize the utilization of computational resources, to increase the security and to optimize the efficiency of digital processes in healthcare organizations. Featuring up to two 4K monitors per user, key benefits of VDI-M include increased performance and productivity, data security at reduced costs, simplified IT deployment and lower maintenance liability. Powered by NVIDIA GPU virtualization, AMAX’s VDI-M extends GPU acceleration previously only available to high-end workstations and compute clusters to every user. AMAX’s VDI-M solutions provide custom-configured and complete solutions that include thin client, network, compute, GPU compute and storage. To learn more about AMAX healthcare solutions or schedule a meeting at HIMSS 2019, please contact sales@amax.com or visit www.amax.com. AMAX is a global leader in award-winning application-tailored AI/deep learning, cloud and data center high-performance computing solutions. AMAX’s solutions are designed to represent the intersection between the highest performance and the greatest efficiency for today’s highly efficient data centers. 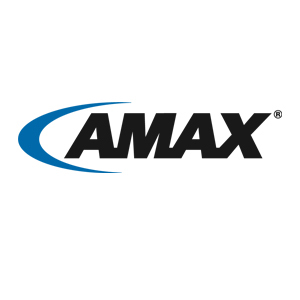 Founded in 1979 and headquartered in Silicon Valley (with additional locations in China and Ireland), AMAX is a full-service technology solutions provider specializing in innovative server-to-rack level solutions designed to meet today’s most intense computing challenges. AMAX is an award-winning global leader in application-tailored data center, HPC and deep learning computing solutions designed to deliver cutting edge performance for next-generation applications.